Things to do in Bir Billing and places to do around Bir Billing. Mountain biking is best things to do in Bir Billing, easy to moderate trails in Bir Billing valley. 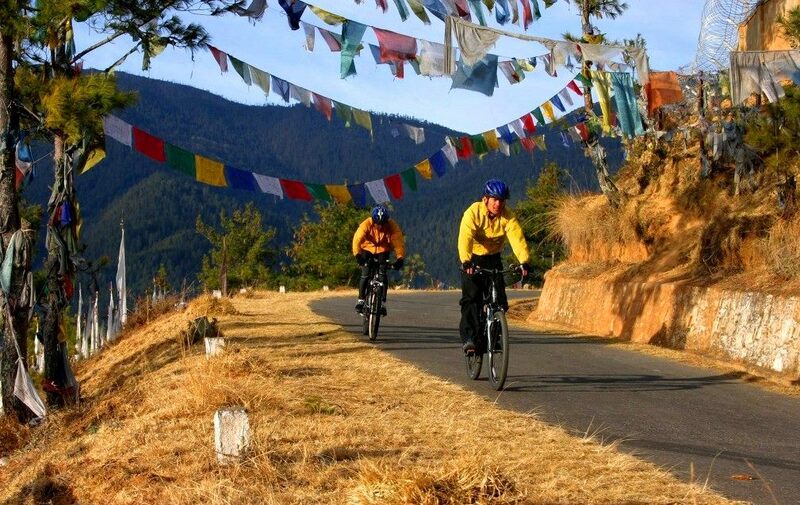 Mountain biking from paragliding landing area to Palpung Sherabling monastery – 12 km and 4 hrs session – Easy to moderate. Mountain Biking from Paragliding landing area to Bhattu road to Bir to mahatama kuttita to Chougan chowk to Landing area – 8 km full trip and 2-3 hrs – Easy to moderate. Mountain Biking from Paragliding landing to Sansal to Mared to Camp Oak view to Chamba road to Bir to Chougan chowk to Paragliding landing area – 16 km and 5-6 hrs – Easy to moderate. Half day 2-4 hrs charges INR 500/-. Full day 6-8 hrs charges INR 1000/-. Many options to do around Bir Billing for sightseeing. 9th century Baijnath Shiva Temple:– Temple is 12 km away from Bir, car charges INR 500/- for temple visit from Bir. 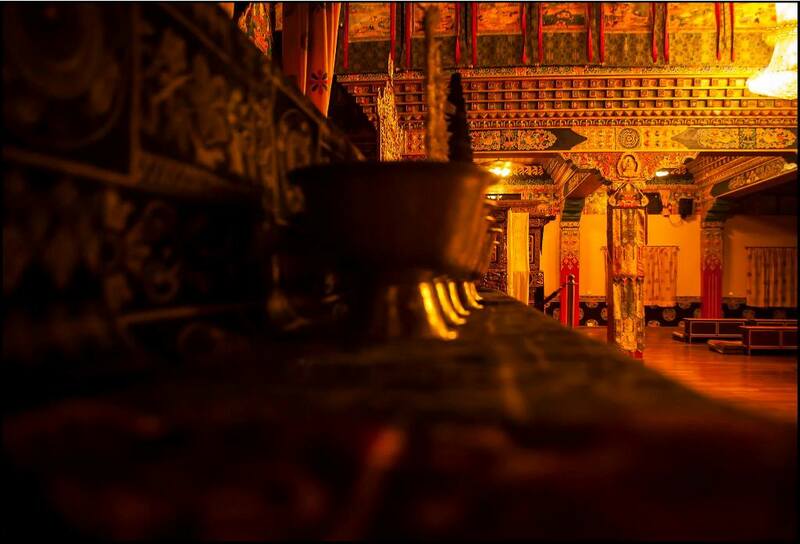 Monastery of Dzongsar Khyentse Rinpoche Institute at Chauntra Town;– 4 km from Bir and one of the biggest monastery around Bir. Palampur:– Palampur is 30 km from bir and takes 1 hr, taxi charges INR 1200/- for full day visit. 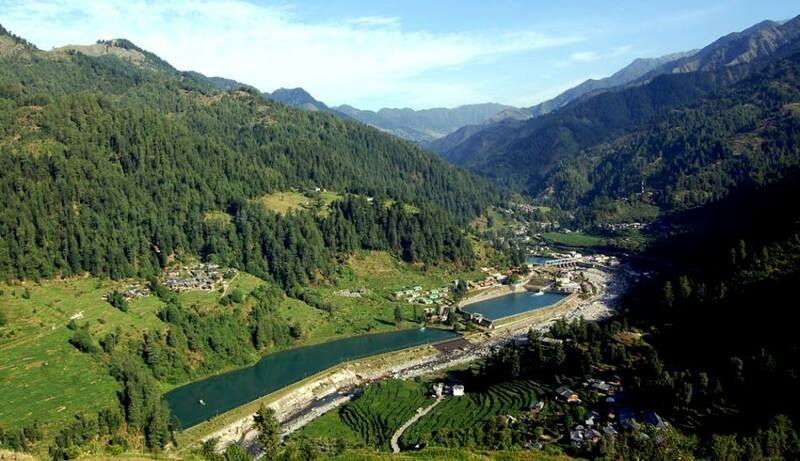 Barot:– Barot is 50 km from Bir, famous for scenic beauty and natural landscape. Barot is known for Trout fish farming. One can hire angling road for fishing. Bir has limited stay option, have only few guest houses. Taxi charges INR 1800/- for full day trip. Prashar Lake:– Prashar lake is 105 km away from Bir, visit blog for more information. 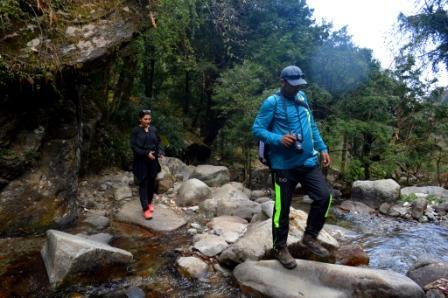 140 year old Mahatama at Bir: – Mahatama meet people at fixed time during day and live at kuttiya near the starting point of Bir Billing trek at upper Bir – last road head. Taxi charges INR 200/- for visit. Andreata Visit: – Andretta is 22 km from Bir and famouns for Pottery, Craft Society, Norah Richard’s House, Norah Richard’s Centre for the Arts, Sir Sobha Singh Art Gallery. Taxi charges INR 1200/- for visit. Oldest Tulsi plant at Sansal Mukut nath temple:– Sansal is 7 km from Bir and famous for Mukutnath Temple and oldest Tulsi plant at the temple. Nearby Ashram with young swami ji named Mr. Raju, who is working for local’s upliftment by helping them. Taxi charges INR 600 for visit. Hikes or day treks around Bir Billing. Hot water spring Tatwani :- Tatwani is dedicated to lord shiva and known for its hot water spring. Govt built some small pool for bath but not much maintained and place is away from villages in mountain. But people can take bath there. Tatwani is 1 hr drive and 2 hrs trek away from Bir. Need to hire taxi for full day and need to pay INR 1800/- for taxi and guide @ INR 500/-. Sunset point hike at village Ghodnala from house of a shepherd:- One can trek from Bir passing through forest house house then small bridge, leave road there to village Baari then to Dhanadi and then passing through Camp Oak view to reach house at the view point. One can see sunset and leave the place by taxi which charges INR 200/-. Hike to small waterfall:- hike start from mahatma kuttiya and one can reach after trekking 1 hr. Trek is easy to reach waterfall just follow the stream. small waterfall- 2 km trek for one of the best things to do around Bir Billing. hike to Sunset at Ghodnala village is 5 km trek for one of the best things to do around Bir Billing. Barot valley , drive for 50 km for one of the best things to do around Bir Billing. mountain biking trails things to do around Bir Billing. Monastery, Bhattu for for one of the best things to do around Bir Billing. Bir Billing and many other things to do around Bir Billing, visit our blog session for more information. Best thing to do around Bir Billing is Paragliding and camping. To complete all the things to do around Bir Billing need 3-4 days here.